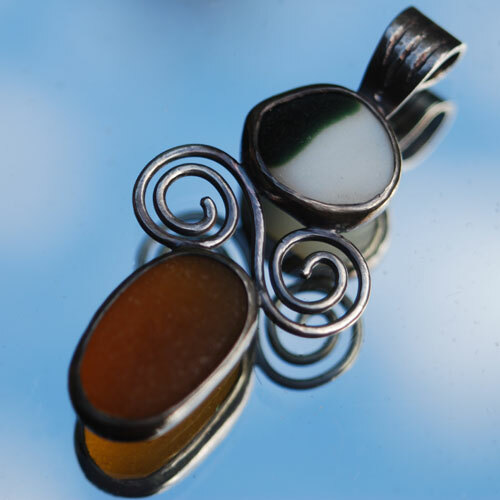 This sterling silver sea glass pendant features sea glass found in the surf from Santa Cruz Califronia. The sea glass is set in a sterling silver bezel. See the back view of the sea glass pendant The sterling silver bezels allows the sea glass to illuminate. The glass are banded in a backless sterling silver bezels and the bail is engraved texture.